Fabric architecture at its best. We work closely with our clients to offer a comprehensive & flexible service, tailor-made according to the project. Our structures are manufactured and installed to withstand adverse conditions and loadings. Membrane structure warranties are determined by regular inspection. We also offer a comprehensive cleaning maintenance service. Rediscovering the tent as an architectural form, and evolving it into a permanent structure. 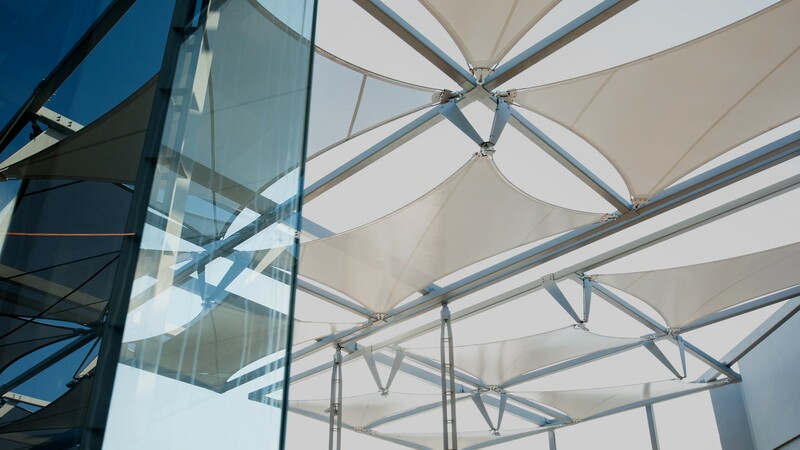 Tensile Fabric structures lend themselves to forming complex, curved and unique shapes that more conventional construction materials cannot achieve. 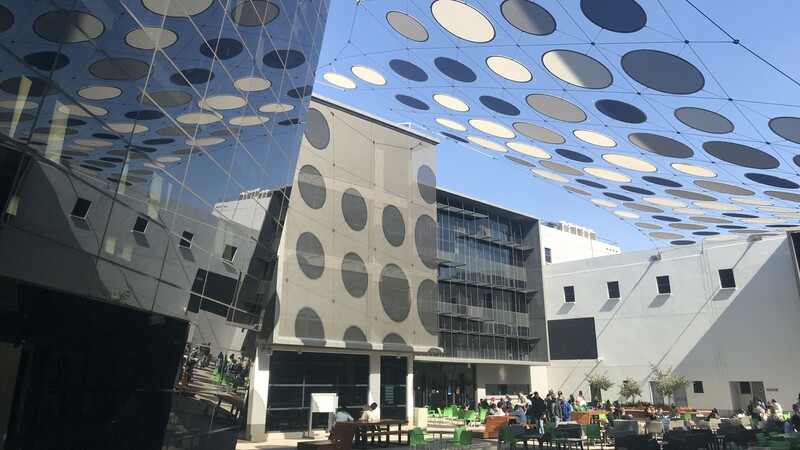 Membrane structures offer great freedom of expression and design, softening otherwise harsh facades and providing shade, shelter and visual attraction to a variety of applications, allowing creative and pleasing integration into architectural designs. With a design life of several decades, fabric structures conform to the same structural codes as conventional buildings and make fabric architecture a commercially viable option. They offer ease of transportation and minimal on-site fabrication. 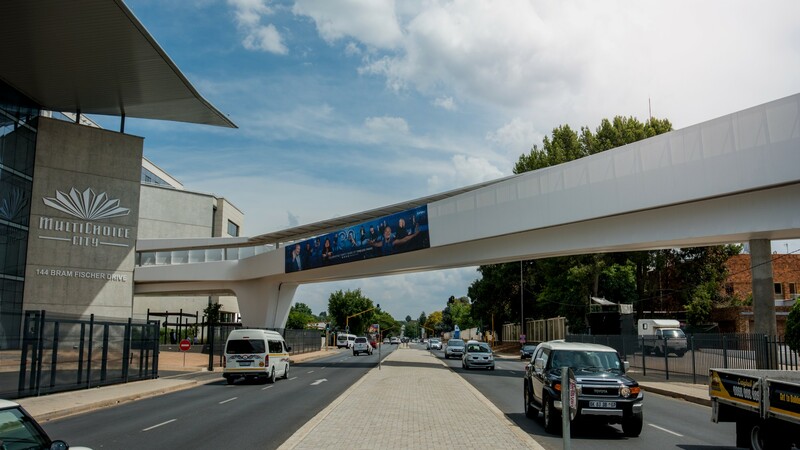 Pedestrian walkways, shop fronts, sports stadiums, offices, shopping and leisure complexes, malls, schools, residential developments, metropolitan public areas, transport hubs, exhibition centres, casinos, restaurants, holiday resorts, and more. Architects, interior designers, office equipment specifiers, large contracting companies, specifiers, designers, fabricators and developers, as well as the end users. 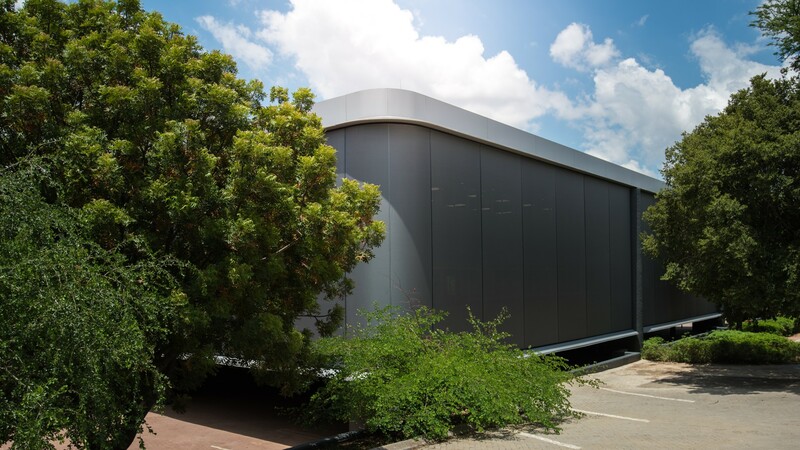 Since inception in 2004, TexArc (Texwise Architectural Structures) has built an impressive track record of creating accurate and practical structures of elegance, subtlety and longevity. We work closely with many clients to develop ideas and practical applications. We provide CAD technology and renderings to enable clients to budget on costings and alternative materials, making it easy to adapt, add or alter designs in their conceptual stages. We operate from our premises in Randburg, South Africa. Our factory is equipped with the latest machinery, highly-trained staff, inventory, offices and warehousing, enabling us to produce a finished and installed product anywhere in Africa. The factory space is specially equipped with a perfectly level boarded floor, allowing handling of large membranes in the manufacturing process. We utilize a range of specialist machines, including high frequency welding, CNC vacuum pattern cutting, special sewing machines, airguns, heat welds, cabling and tapes. Management is hands-on. German and Asian-trained engineers, artisans and technicians, are all experts in their fields. Whilst membranes are typically less than one millimetre thick, they are capable of withstanding enormous forces with the correct engineering. Incorporating stressed membranes within a building envelope causes a considerable transfer of lateral loads, as they rely on double curvature to form their correct design shapes. Our structural fabric engineers provide information that is critical as to how and where load points should be located. Load analyses from wind, water and deflections are developed for all structures, which then determine steelwork form and sizes, anchors, ring beam securing or other securing methods. Texarc primarily makes use of hightech PVC and Silicon Glass. Fabrication processes differ in that PVC requires high frequency welding, whilst Silicon Glass is heat bonded. Silicon Glass is more costly but offers both a wide range of colours and superior self-cleaning characteristics. It also allows more light penetration without glare. Both materials have warranties that extend from 7 to 15 years. In addition, we now offer the new Précontraint TX 30 from Serge Ferrari, and Texarc is the only fabricator in sub-Saharan Africa that can offer a 25 year warranty. Copyright 2018. Texwise Architectural Structures (Pty) Ltd. All Rights Reserved.